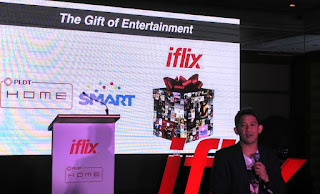 iflix, the leading over-the-top content provider in Southeast Asia, will be giving Smart Communications and Philippine Long Distance Telephone Company subscribers the gift of entertainment this holiday season, wherein they will be able to access ten of thousands of hours of movie and TV shows at no additional costs. Starting this mid-December, all Smart, Talk 'N Text, and Sun Cellular subscribers will be receiving 3 months of iflix subscription for free valued at Php387 while PLDT Home DSL, Fibr, uLTEra or Telpad customers will have it for 12 months valued at 1,584 pesos. What is more amazing is that you do not need to fill out forms or submit documents to get it, the free iflix subscription will be automatically bundled to your existing account. This collaboration will make way to the product breakthrough, the world's first and patent-pending technology called Instant Access, wherein eligible customers do not need to sign-up or log-in to the iflix website or app because the system already knows and instantly recognize if the user has a valid iflix subscription. 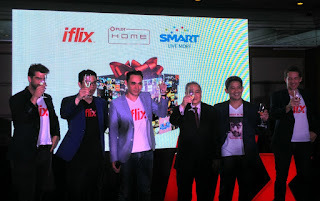 In addition, iflix also announced that subscribers can now download the contents that they want on their device and watch it at a later time, which is absolutely great for a more flexible on the go media consumption, especially at times that no internet connection is available, such as when you are on board a plane. However, take note that the TV shows or movies that you downloaded will only be available for 7 days. Moreover, Smart also announced a new BIG Bytes offer for prepaid customers, for just 15 pesos, subscribers will get up to 300MB of iflix content on top of the usual 40MB data allowance for two days. 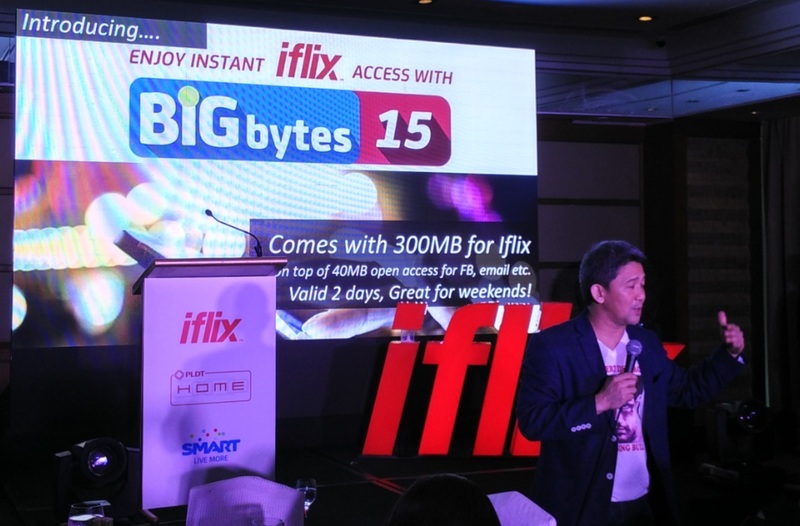 According to Ariel P. Fermin, PLDT and Smart EVP and Head of Consumer Business, the 300MB of data is enough for two full-length movies or five episodes of your favorite series.